Working with PDF files can be a pain if you don’t have the right tools. Sure, there are a lot of programs out there that can view PDF files, but changing them is a different story. On top of that, most of the free programs that allow you to change PDF files leave watermarks on them if you don’t buy the “pro” version. All of this can be avoided with PDFill PDF Tools. PDFill PDF Tools is just what it sounds like. It is a bunch of PDF tools all bundled together into one free package. You can use these tools to do a number of things, including (but not limited to): Add information to PDF files, merge PDFs, encrypt, decrypt, crop, reformat, and more. The program is free to use both personally and commercially. Messing around can be a pain. Most of us have programs that can view PDF files, but how many of us have programs that can edit these files? I am not just talking about filling out information in PDF files. I am talking about creating headers and footers, adding watermarks, converting PDFs to images and more! Well, if you are looking for a program that can do this, you may want to take a look at PDFill PDF Tools. Now, before we get into how great this program is, please keep in mind that it does come bundled with other programs. This is the biggest and only drawback I found with the program. 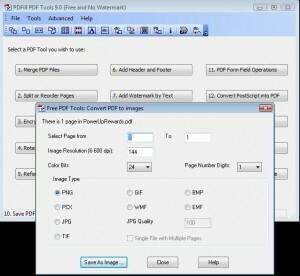 The program comes bundled with PDFill PDF Editor. This program is free to try, but you have to pay $19.99 to use it after the trial period. That is fine, because what we really want here is PDFill PDF Tools. This part of the package is completely free. One thing that I love about the program is the fact that it is 100 percent free! This is not one of those programs that says it’s free but then holds you back with limitations. PDFill PDF Tools is free, it doesn’t put watermarks in the files you edit, and you don’t have to deal with ads. In total, this program has 15 different tools built in. 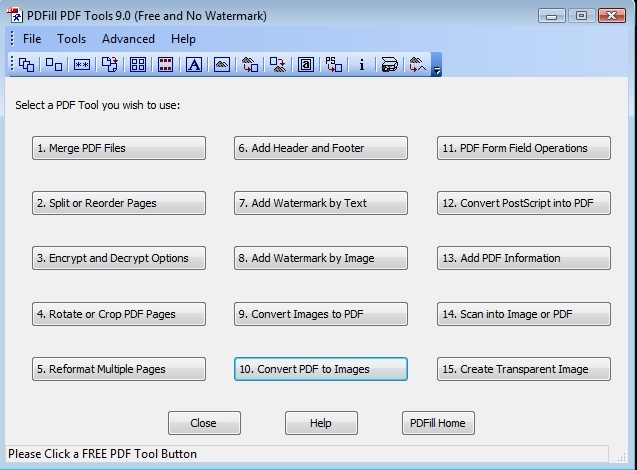 The tools are: Merge PDF Files, Split or Reorder Pages, Encrypt and Decrypt Options, Rotate or Crop PDF Pages, Reformat Multiple Pages, Add Header and Footers, Add Watermark by Text, Add Watermark by Image, Convert Images to PDF, Convert PDF to images, PDF Form Field Operations, Convert PostScript into PDF, Add PDF Information, Scan into Image or PDF, and Create Transparent Image. That is a lot of tools to get completely free. This is a program that I highly recommend to anyone that is looking to edit/modify PDF files. It is a little annoying that they package this great free program with a trial for their paid program, but on the positive side, you don’t have to use the paid program if you don’t want to. 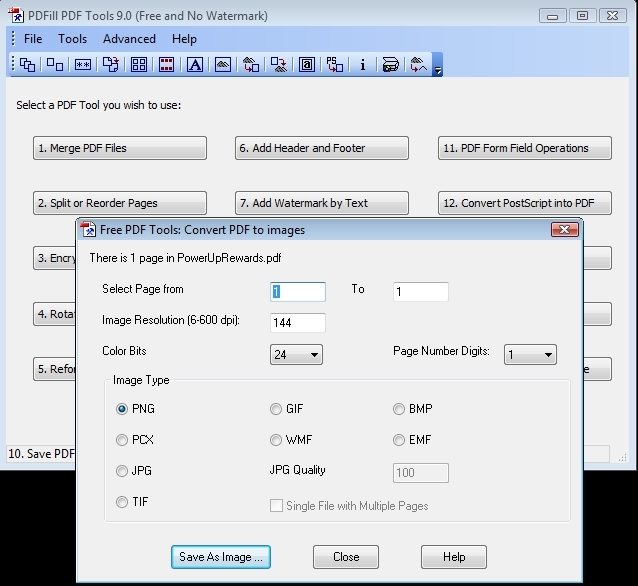 In the end, PDFill PDF Tools’ faults can be overlooked by the sheer amount of useful tools they give you for free.